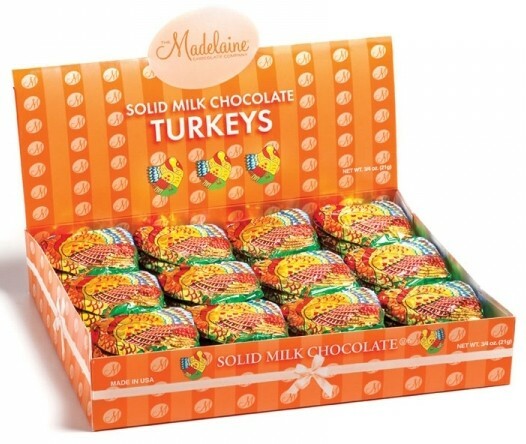 Chocolate Turkeys from Madelaine – Give a real turkey a pardon this Thanksgiving and gobble these sweet delights instead. 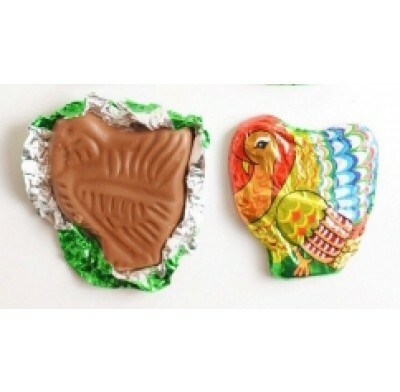 Each of these solid molded milk chocolate turkeys are wrapped in multicolored foil. Great for everyone at your Thanksgiving gathering or scattered on that hostess tray. Terrific for school too! Kosher Dairy. Boxed candy comes 60 per display box. Each piece measures 1 3/4" x 1 3/4" at the widest point.